So I was chatting with a couple buddies the other night about their mortgages, as I do sometimes, and the two of them were engaging in some light sparring. Basically saying their “mortgage guy” was better than the other’s “guy” and that they got a better mortgage and blah blah. In reality, I don’t know if either guy was very good but they both got mortgages and with them houses. Mission accomplished. But that brings me to a recent memory involving my own life, and my own wife (yes, someone married me). My wife called a lender to ask for pricing on an ARM (shocking, I know) and the loan officer basically talked her out of it and didn’t even provide pricing. Instead, he suggested a 30-year fixed mortgage and provided pricing for that. So to get this straight, she was interested in a certain product and asked for more information about said product and was basically told it’s no good for you. Because the guy who knows nothing about her situation or her goals thinks a 30-year fixed is the be all and end all. That got me thinking…maybe prospective mortgagors should know what loan product they want well before speaking with some guy or gal at a bank, or a credit union, or online. They say you can’t really steer people into mortgages any longer, that it was banned and is no longer incentivized, but I don’t believe that. There are still reasons to put borrowers in certain products because it’s easier, or it may be more beneficial pricing wise, etc. The specific bank you call might also have horrendous pricing on an ARM but great pricing on a fixed product. So I still think there’s motivation to suggest certain products over other ones to get the deal. Heck, it might just be easier to qualify the person, whether it’s good for them or not. Sure, it’s not the good old days when loan officers and mortgage brokers could throw unwitting borrowers into pay option arms and earn 3-6% commission on the dud of a loan. But there is still some prodding going on, which may not be completely objective. Now it’s perfectly fine to bounce ideas back and forth with the loan officer or broker if you’re still kind of trying to determine what’s best for your situation. Maybe you plan on buying a starter home and know you’ll only be in it a few years – or you’re simply the type of person who never stays in one place very long. For you, a lower priced ARM might make sense. Conversely, you might be in love with your home and looking to retire in it…for you, a 30-year fixed, or even 15-year fixed could make sense, even if the latter is tougher to qualify for. Maybe you do want that, and maybe if he’s not interested in giving you pricing he doesn’t want your business. At that point it might make sense to make other phone calls. End of the day, whoever you choose to work with should have your best interests in mind, but if you don’t know what your best interests are before making the phone call, you might wind up with someone else’s. 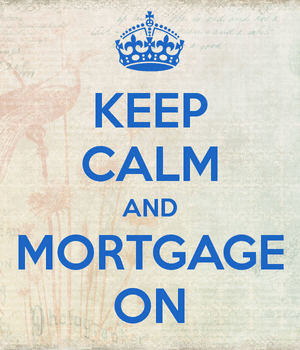 Read more: Which mortgage is right for me?